Ashutosh Gowarikar's historical love epic Jodhaa Akbar swept the 10th International Indian Film Academy (IIFA) awards in Macau, China, taking home trophies for best picture, best director and best actor. Jodhaa took home 10 trophies in total including the gong for the 'Best Film'. 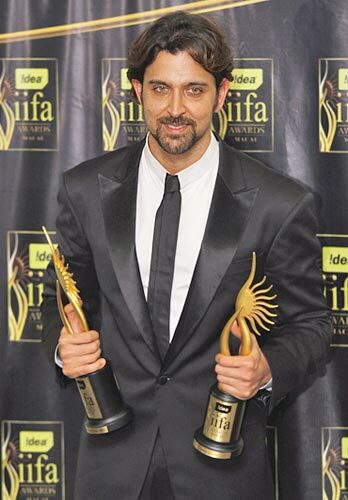 Hrithik Roshan's portrayal of the Muslim monarch won him the 'Best Actor' trophy while Gowarikar won the Best Director award for his epic drama which wove together romance and communal harmony. The film which had nominations in all the categories faced stiff competition from other superhit contenders like Ghajini, A Wednesday, Dostana, Rock On and Race. However, Aishwarya failed to bag the Best Actress trophy, which went to Priyanka Chopra for her power-packed performance as a small town girl who makes it big in the world of fashion in Madhur Bhandarkar's Fashion. Others contenders in this category were Asin, Katrina Kaif and Bipasha Basu. Actor Abhishek Bachchan, who won the trophy for Best Actor in Comic Role for his gay act in Karan Johar's Dostana, became teary eyed as he thanked his legendary father sitting in the front row. "When I was a child I saw 'Amar, Akbar, Anthony' and I told myself that I want to be like him (Big B) and I am here because of him. I thank my mother and my wife. Aish, I only love you. This award is also for Amar Singhji, who is recuperating in a hospital," Abhishek said. Abhishek and Aishwarya also scored over everyone with their scintillating performances. Aishwarya made a dramatic entrance in a 'palki' to perform around the theme of Jodhaa Akbar. Abhishek, who was the last one to perform at the gala function, made an electric entry to the stage. The Delhi 6 actor danced on all the hit numbers from his films making audiences tapping their foots in the hall. But the highlight of the evening extravaganza at the Kotai Arena of the grand Venetian hotel was the Lifetime Achievement award for yesteryear's superstar Rajesh Khanna. The honour was presented to the veteran actor by none other than his co-star of many movies -- Amitabh Bachchan. The mega star expressed his appreciation for Khanna with a short speech. "For the first time in the Indian cinema he coined the word superstar. I am lucky to have had the privileged to work with him. He was such a phenomenon that women used to put the dust left off his car to their heads," said Bachchan, who first starred with Khanna in Anand. to address Bachchan with his famous screen name Babu Moshay from Anand. 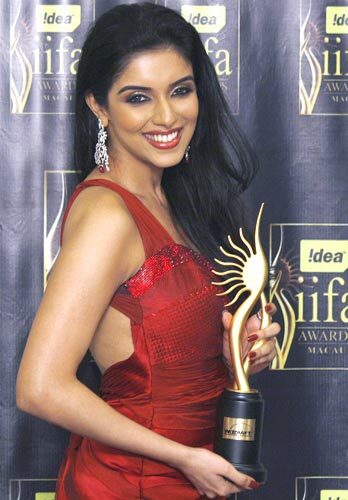 The award for Best Debutant went to Asin for her role in Ghajini. mega star sang Mere Pass Aao Mere Doston and Kabhi-Kabhi to a thundering crowd. Hrithik Roshan's rendition of Yara Teri Yaari was also met with a thundering applause by the 12,000 strong audience. The other stars who turned singer for the night were Farhan Akhtar, Priyanka Chopra, Sonam Kapoor and Bipasha Basu. 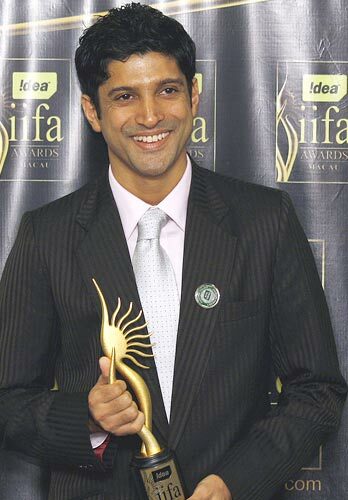 Farhan Akhtar bagged the Best Debutant award for his performance in Rock On. The IIFA award, which is celebrating its decade of magic, saw performances by debutants Sonam Kapoor, Jackky Bhagnani, Anushka Sharma along with seasoned actors Govinda, Sushmita Sen and Bipasha Basu. Another winner of the night was Kangna Ranaut. She won the Best Supporting Role Female award for her role in Fashion. 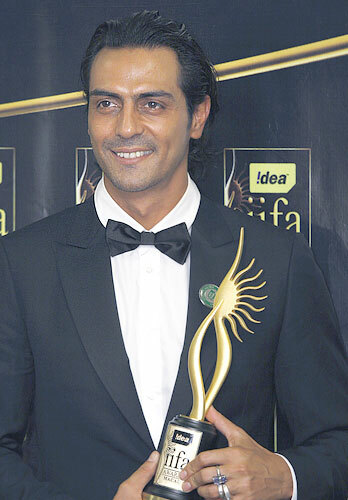 While Kangna won in the female category, Arjun Rampal won in the male category for his role in Rock On. The awards this year included a special category 'Award of the Decade' to celebrate its ten year long journey. Superstars Aishwarya Rai Bachchan and Shah Rukh Khan were declared the 'Actors of the Decade'. year by musician AR Rahman. Rahman won the 'Golden Decade of Music' award for his contribution to Indian films where music is often as important as the script and actors. The 35-year-old actress who also performed at the awards gala received both the trophies while Shah Rukh had to miss the ceremony because he is shooting for his upcoming film My Name is Khan. Bipasha Basu won the Style Diva award. 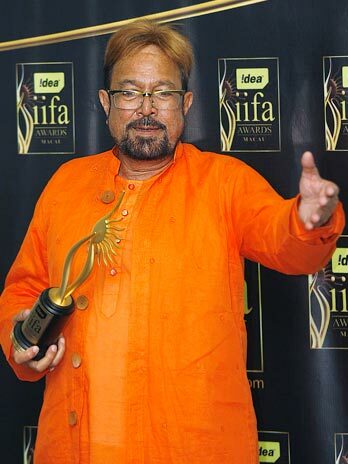 Lagaan was named the' 'Best film of the decade' while director Rakesh Roshan walked with 'Best Director of Decade' trophy. Meanwhile, Shreya Ghosal won the Playback Singer Female award for Singh is Kinng. contribution for the cause with a special award.